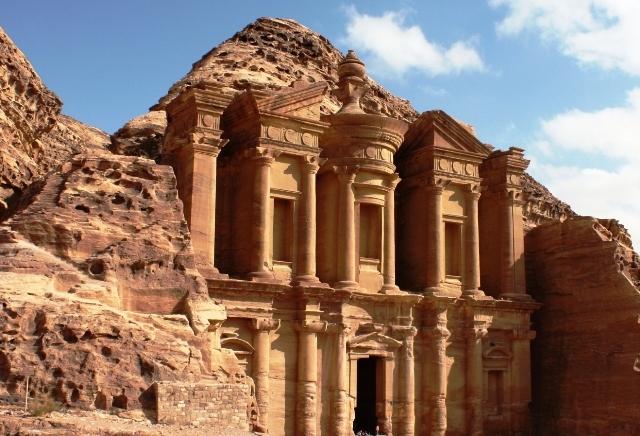 The cheapest flights between Dubai and Amman, the capital of Jordan and one of the oldest continuously inhabited cities in the world, can be found by making use of the flight comparison tool to the left. Direct flights are available from Emirates, flydubai, Royal Jordanian and SkyLink Arabia. The distance between Dubai's Airport and Amman's Queen Alia International Airport is some 2,020km. It is 1 or 2 hours earlier in Amman (Jordan) than in Dubai (United Arab Emirates). We suggest setting your watch to Amman's time as soon as you board your flight (the earlier you begin the acclimatization process the better). "Sdangit", a chinese-american settled in Dubai, and her hubby decided to holiday in Jordan. After an Emirates flight from Dubai to Amman, they drove from Amman to Petra to see the ancient structures carved out of sandstone. Emirates introduces an extra flight from Dubai to Amman, increasing the current 13 weekly flights to 14 per week. The second flight, EK901, will leave Dubai at 07:25 every Friday and arrive at its destination, Amman, at 09:20. There are buses that run this route, but note that westerners are unlikely to be able to get a Saudi transit visa by ground (i.e. the route is effectively closed to westerners). Amman has a semi-arid climate with warm dry summers and cold wet winters. The Four Seasons Hotel is situated on top of the highest of seven hills in the city. Its dedicated quest for excellence in service and attentiveness to detail makes the stay an experience to remember. For the traveller who would like to be situated close to the bustling centre of the city and within walking distance of various attractions, the Holiday Inn Hotel is the place to be. Situated just off the Madina Al Munawarah road, 35km from Queen Alia International Airport, the Inn provides a popular choice anyone. To check availability or find another lodging option, please refer to the search engine provided.